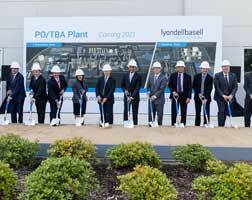 LyondellBasell, one of the world's largest plastics, chemicals and refining companies, has officially broken ground on what will be the largest propylene oxide (PO) and tertiary butyl alcohol (TBA) plant ever built. The project in the Houston area, US, is estimated to cost US$2.4 billion, representing the single-largest capital investment in the company's history. Once in operation, the plant will produce 470,000 tonnes/year of PO and 1 million tonnes/year of TBA. 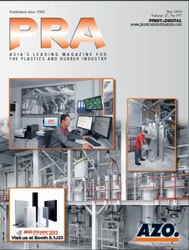 Start-up of the plant is planned for 2021. "Today's groundbreaking is a historic moment for our company," said Bob Patel, CEO of LyondellBasell. "This plant will be the largest of its kind, built to meet the rising global demand for urethanes used by billions of consumers each day and clean-burning oxyfuels that will help improve air quality around the world. The construction of this project will provide jobs for our neighbours, support local businesses and strengthen our communities with increased tax revenues across the greater Houston region. As one of the cornerstones of our global growth strategy, the new plant will strengthen our ties in Houston and generate long-term value for our shareholders." To optimise product balances and realise synergies between LyondellBasell sites, two facilities will be constructed on existing manufacturing sites. The 140-acre PO/TBA plant will be built at the LyondellBasell Channelview Complex located in Channelview, Texas while an associated 34-acre ethers unit, which will convert TBA to oxyfuels, will be built at the company's Bayport Complex in Pasadena, Texas. The company chose to build the new plant at these existing locations along the Texas Gulf Coast because of their proximity to low-cost feedstocks and the transportation infrastructure needed to ship products to markets around the globe. Based on an analysis by the Greater Houston Partnership, LyondellBasell's PO/TBA project is estimated to generate more than US$453 million in tax benefits for the county, school district, community college and other local taxing districts over a ten-year period. The Channelview site is expected to deliver US$349 million in tax benefits and the Pasadena site is expected to create US$104 million in benefits. The project will create more than 2,200 construction jobs at the peak of construction and 160 permanent positions. PO is used to make bedding, furniture, carpeting, coatings, building materials and adhesives, while TBA will be converted to two ether-based oxyfuels, methyl tertiary butyl ether (MTBE) and ethyl tertiary butyl ether (ETBE). Both MTBE and ETBE are high-octane gasoline components that help gasoline burn cleaner and reduce emissions from automobiles. Global demand for urethanes is projected to grow by 4 to 5 percent over the next five years due to emerging economies in Asia and India and their increased demand for consumer products. 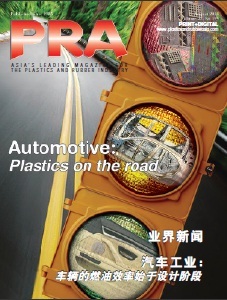 The global TBA market is expected to increase by 3% a year between 2018 and 2028, as drivers and governments in Asia Pacific and Latin America seek to improve air quality with cleaner-burning gasoline. 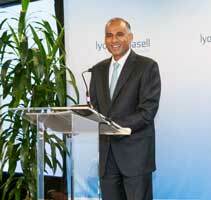 LyondellBasell plans to sell the PO and derivative products to both domestic and global customers, while the oxyfuels will be primarily sold into Latin America and Asia. A portion of the TBA will remain in the domestic market in the form of high purity isobutylene which is used in tyres and lubricants. The majority of the products will be exported via the Houston Ship Channel.